My name is Cady, I'm 4 years old and I'm a very special cat. 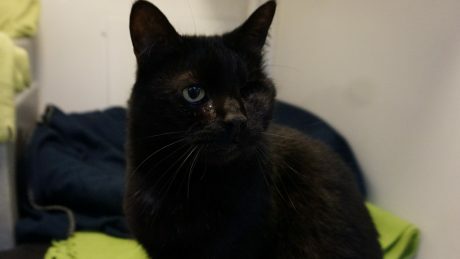 Sammy is a 10-year-old one-eyed cat who was abandoned by his previous owner when they moved and is now on the lookout for a new home. 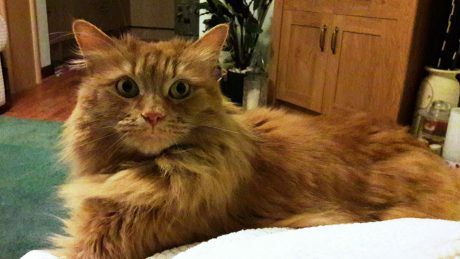 Nala is a beautiful 10-year-old female cat who is looking for her forever home. Hello there, my name is Missie and I am 10 years old and have been here for over 170 days. 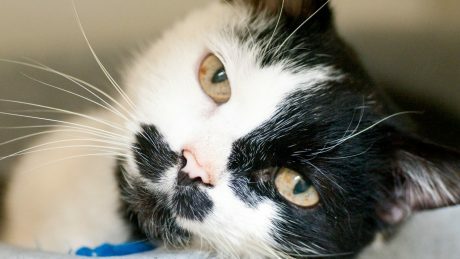 Boots is a 10-year-old cat who hasn’t had much luck, having already had three homes. 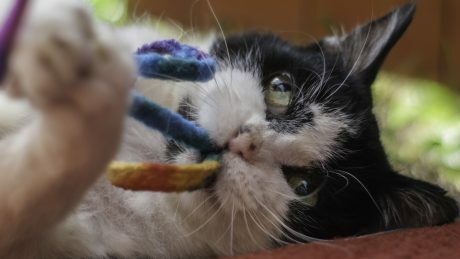 Kozal is a handsome 16-year-old cat who came into care as he was unhappy in his previous home. Six months later, he is still waiting to find his perfect home. Hey there everyone. 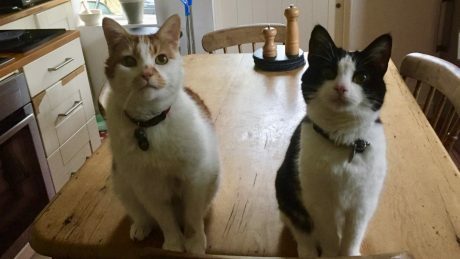 My name is Km157-16 and I am a very handsome fluffy black boy and this here with me is my brother, he is called Km159-16 and he is a gorgeous black and white boy. 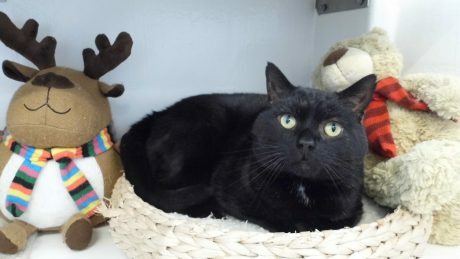 Ralphy is a very sweet older cat at the National Animal Welfare Trust’s Cornwall centre in Hayle. 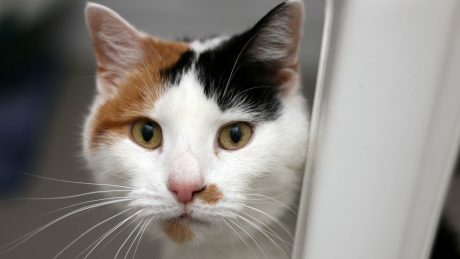 Pixie is a very affectionate 13 year-old white Tortoiseshell cat. 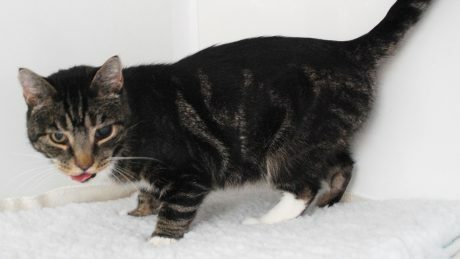 She loves to spend time dozing on a bed or a comfortable sofa and will purr and pad when she is given a cuddle. 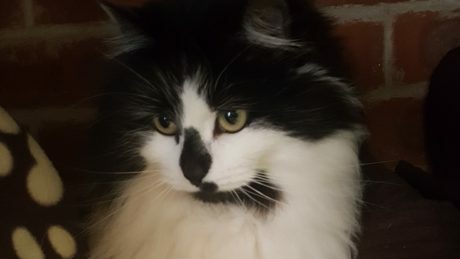 Millie is a beautiful 4 year old white and black longhaired cat. 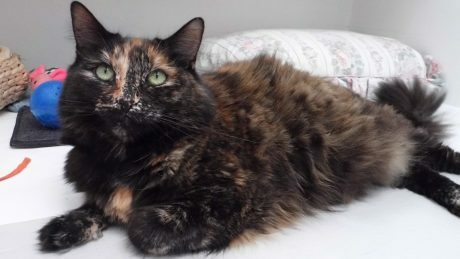 She is a quiet, no-nonsense cat and once she gets to know you, she is a dream. Rosie has been challenging, but equally she has been full of love and wanting fuss and cuddles, she can be a different cat when you are on her wavelength with body language and understanding. 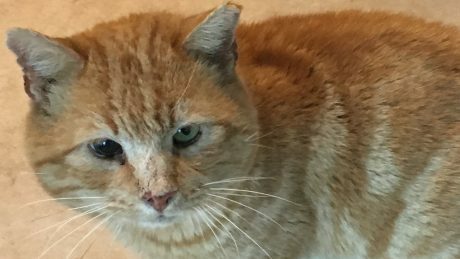 Trumpet is a senior cat who is looking for his retirement home with loving owners. 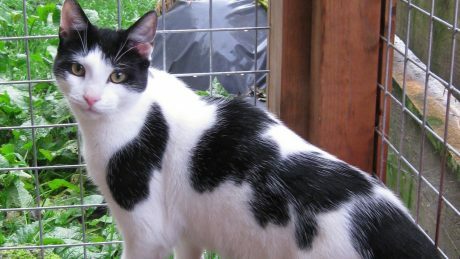 Timmy is a young black and white cat. He is approximately 7 months old and is a very lively and active cat. Timmy is openly affectionate with people and social with other cats. 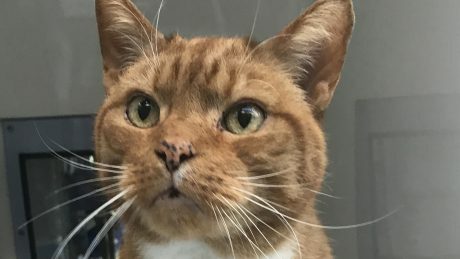 Henry is a handsome cat who is thought to be around 10 years old. 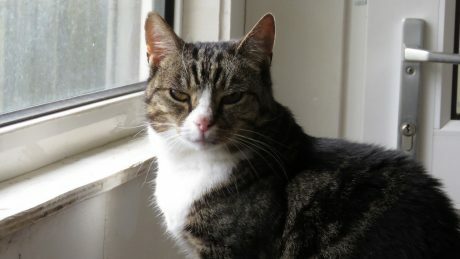 He was a long-term stray before coming into care and was found in a bad way. 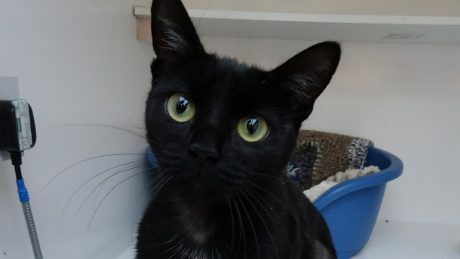 Hi, my name is Gary and I am a 2-year-old male cat. 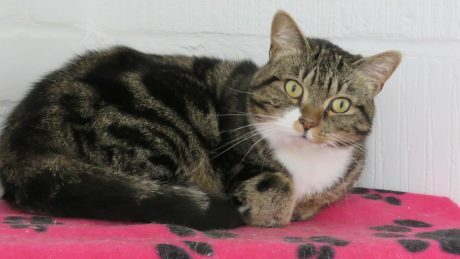 I have been living here at The Centre since the 18th April 2016 after I was found living as a stray in Portsmouth. Eric (13yrs) and Trinity (14yrs) are a wonderful older couple looking for a quiet home for their final years together. They can live with slightly older children. This is Gertrude Ganache. 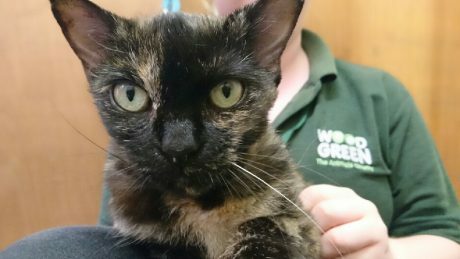 ‘Gerty’ is 10 years-old and is completely deaf in both ears, so she needs a very special owner. 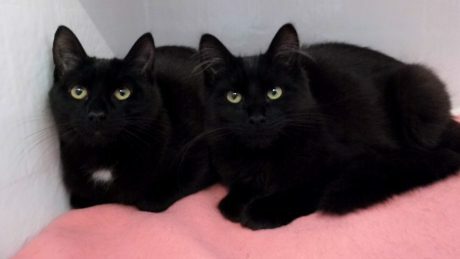 Lola is a one year old black cat who came into Cats Protection’s care as she wasn’t getting on with the other cats in the household. She is very lively and loving and likes a fuss.